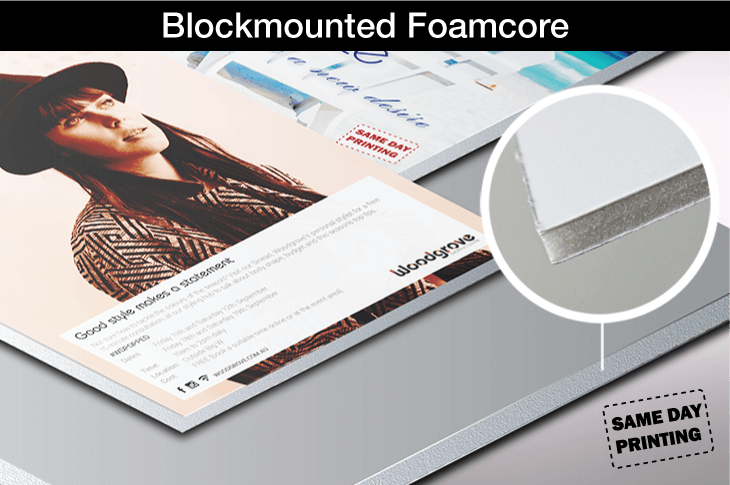 If you are looking for a super light mounted print that can be adhered to the wall with something like removable 3M velcro strips, foamcore may be a good solution. A lightweight, 5mm soft core, substrate, foamcore is very light, and used widely for office and event signage. Note however that it easily dents with pressure, and warps with heat, so needs to be handled with care, and is not ideal for graphics that will be exposed to temperature extremes. 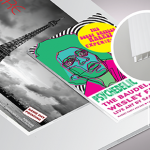 If you need a heavier, more durable backing take a look at 3mm PVC. Ensure your images are printed and mounted quickly and accurately, on quality stock, and dispatched on time with Same Day Printing. Simply let us know your requirements in the quote form above, and we’ll be back to you within 2 business hours – usually sooner. We are prepared to create exactly what you have in mind. – If you have questions, call us to discuss your requirements – phone 1300 663 242.